I’ve said it many times to a sceptical office: the Destiny universe, actually, has really cool lore. One question that has been nagging at the community ever since the famous peddler Xur appeared, with his epithet ‘Agent of The Nine’, is naturally: who are The Nine? It seems we may now have an answer. Warning: don’t read this article if you’d rather figure out who the Nine are for yourself. What does their agent sell? Check out our Destiny 2 Exotic weapons guide. The Nine are survivors of the cis-Jovian colonies who made a compact with an alien force to ensure their own survival. The Nine are deep-orbit warminds who weathered the Collapse in hardened stealth platforms. The Nine are ancient leviathan intelligences from the seas of Europa or the hydrocarbon pits of Titan. The Nine arrived in a mysterious transmission from the direction of the Corona-Borealis supercluster. The Nine are the firstborn Awoken and their minds now race down the field lines of the Jupiter-Io flux tube. The Nine are Ghosts who pierced the Deep Black without a ship and meditated on the hissing silence of the heliopause. The Nine are the aspects of the Darkness, broken by the Traveler’s rebuke, working to destroy us from within. The Nine is a viral language of pure meaning. The Nine are the shadows left by the annihilation of a transcendent shape, burned into the weft of what is. These theories provide crucial context to the lore of the gear that drops from Destiny 2’s new Trials of the Nine game mode. 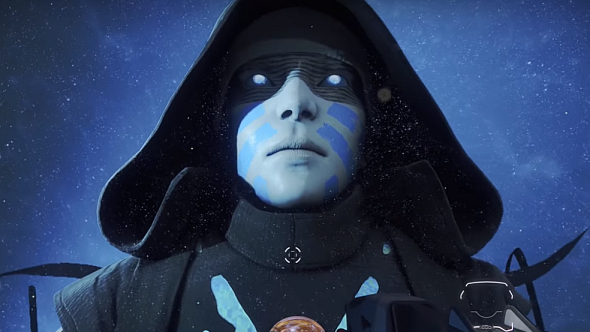 Fans have been poring over the details on the Destiny subreddit, and the OP of this thread is pretty sure they’ve worked out – conclusively – what The Nine are. “You sought us out in the deep black. That’s probably a lie, as anyone who’s completed Destiny 2’s campaign would know. But that’s a different article. Check out echof0xtrot’s postand the ensuing thread for more on this theory.